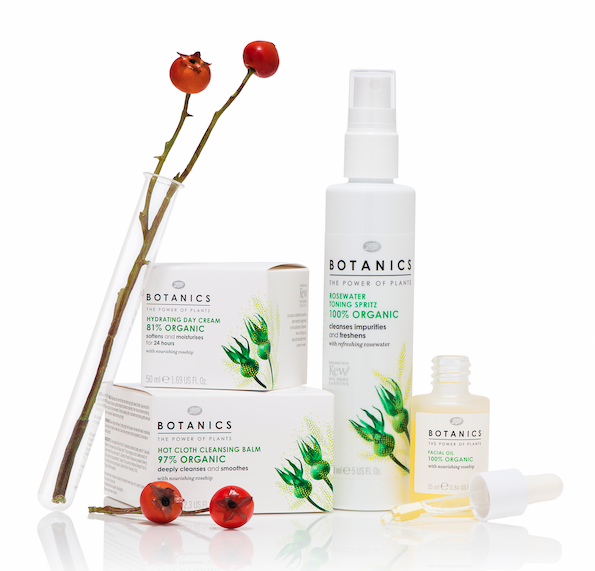 Boots Botanics has recently introduced an organic, socially responsible skin care range. 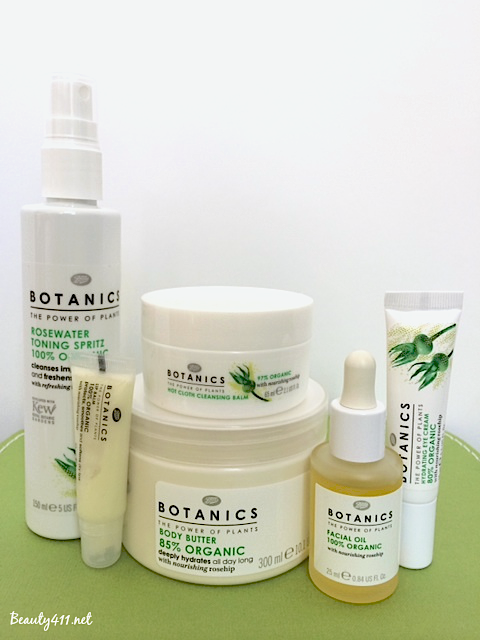 The products in the Boots Botanics Organic range contain active plant extracts developed through consultation with The Royal Botanic Gardens, Kew. All products are free of parabens, mineral oils, paraffin waxes, Sodium Lauryl Sulfate and Sodium Laureth Sulfate, replacing man-made chemicals with natural ingredients where possible. The line is not tested on animals and no animal ingredients are included. 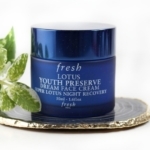 It’s good-for-you skin care! 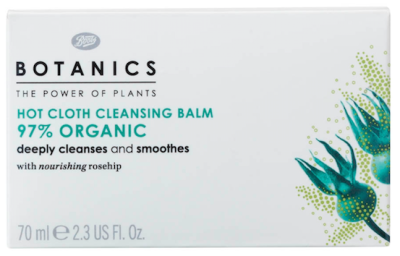 There are 8 products currently in the Boots Botanics Organic line; I sent a variety to try and definitely found a few favorites, including the Facial Oil, the Lip Balm and the Hot Cloth Cleansing Balm . The Boots Botanics Organic Facial Oil ($8.99) is 100% organic and rich in organic Rosehip, which contains Omega 3 and 6 fatty acids to nourish, relieve dryness and boost skin’s radiance. This facial oil contains a blend of oils, including Sweet Almond Oil, Bergamot fruit oil, Lemon peel oil and others. It has a light citrus scent, which I love. The Organic Facial Oil can be used morning and night, however because it lingers on the skin, I prefer nighttime only. The Boots Botanics Hot Cloth Cleansing Balm ($8.49) is 97% organic and is my favorite of the products I tried. The cleanser is a solid balm (which makes it nice for travel) accompanied by a muslin cloth. 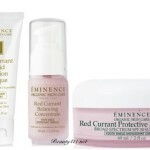 You apply the balm to your face, soak or wet the cloth with warm water and gently polish skin/remove balm. Once done, you can soak the cloth in cold water and press over the face to naturally close the pores. It’s a calming ritual and believe me, your face is glowing when you’re done. The Hot Cloth Cleansing Balm also contains a variety of oils, including Olive, Jojoba, Rosehip, Sweet Almond Oil and also has Shea Butter for deep moisturizing. This is an amazing value, too. Love! The Boots Botanics Lip Balm (pictured above, $5.99) is another excellent find. It’s 100% organic and it’s ingredients include nourishing rosehip, She Butter, Grape Seed Oil and Jojoba Seed Oil. It really moisturizes well; there is no “taste” to the Lip Balm, and it stays on lips for a long time. 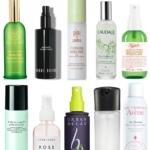 I’ll rebuy this (actually, I’d re-buy each of these products!). Boots Botanics Organic Skin Care range is available in Target stores nationwide, Target.com and us.boots.com. Have you tried any of the products in this line yet? Let me know what your experience is!